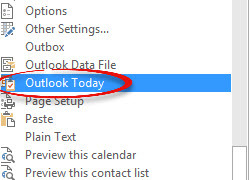 Increase e-mail efficiency by summarizing appointments, tasks and e-mail using Outlook Today view. This works in Outlook 2016, 2013, and 2010. Step 1: Click the dropdown list arrow on the access bar above the Home tab. Choose More Commands. 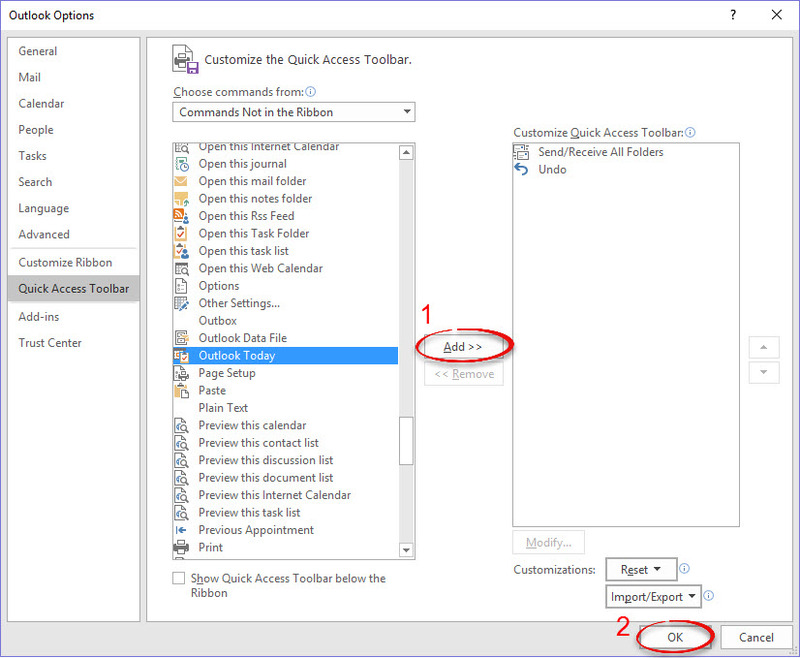 Step 2: Click Commands Not in the Ribbon in the dropdown list. 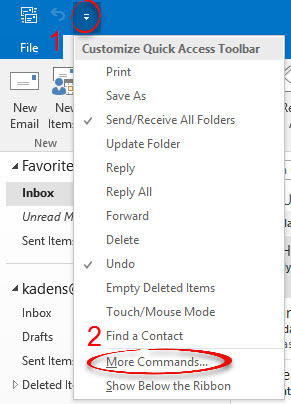 Step 3: Scroll down and choose Outlook Today. Step 4: Click Add>> then OK. 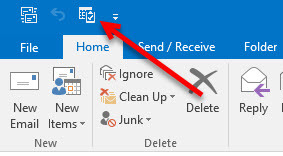 Step 5: Locate the Outlook Today icon on the access bar.